With more than 30 years of experience under his belt, Chef Ken Liew of Celestial Court in Sheraton Imperial Kuala Lumpur is a skilled craftsman. 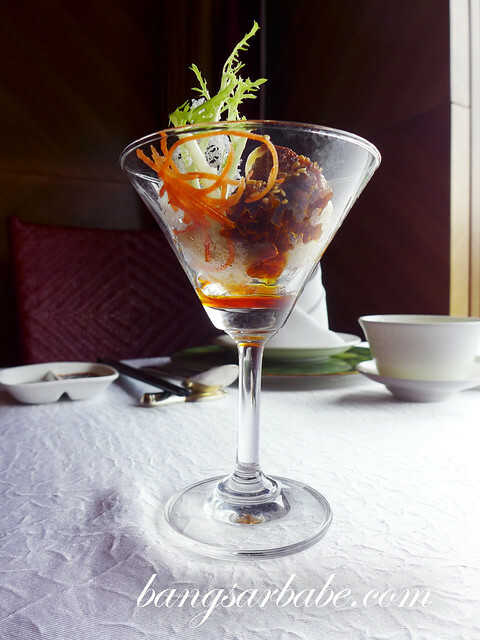 His new dim sum creation showcases a burst of aroma, colour and flavour that would tickle even the fussiest of taste buds. 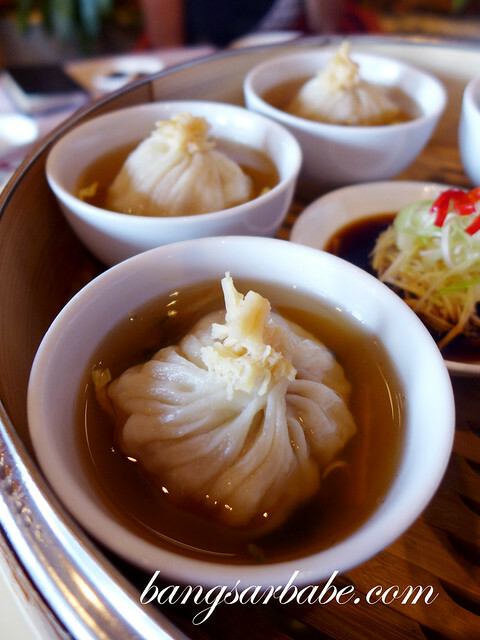 Dim sum, which literally means “touch the heart”, is one of my favourite things to eat especially during the weekend. 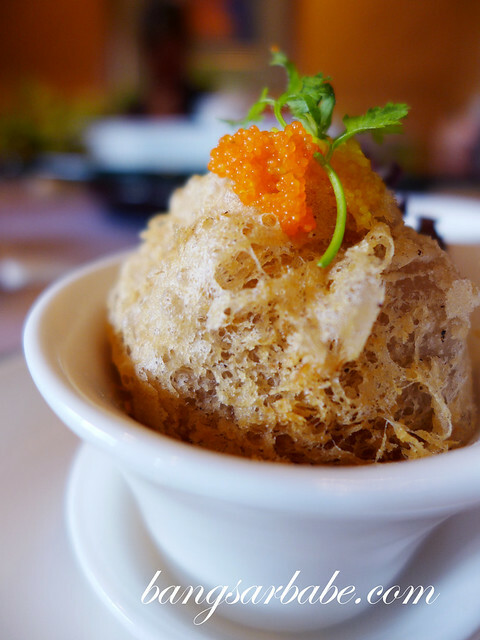 Chef Ken’s dim sum are creative without compromising the essence of traditional dim sum. The crystal beet roots juice har kao boasted juicy prawns beneath the thin purple-tinted dumpling skin, topped with crispy shredded fried scallop. I would have preferred the skin of the Shanghainese dumpling – served in chicken broth – to be thinner, but this was actually pretty decent. 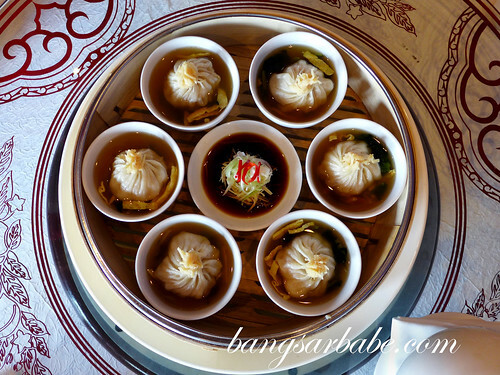 The egg strips and Chinese spinach added flavour and texture to the dumpling. 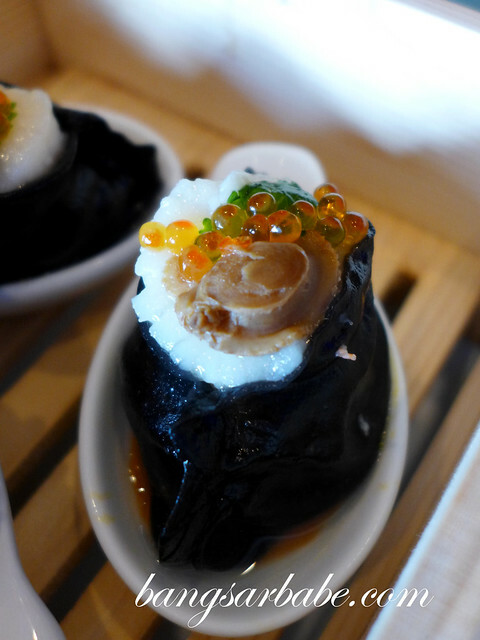 One of my favourite items there was the squid ink scallop dumpling with mini abalone and salmon roe. This tasted as decadent as it looked, with the fresh scallop adding sweetness to the overall dumpling flavour. 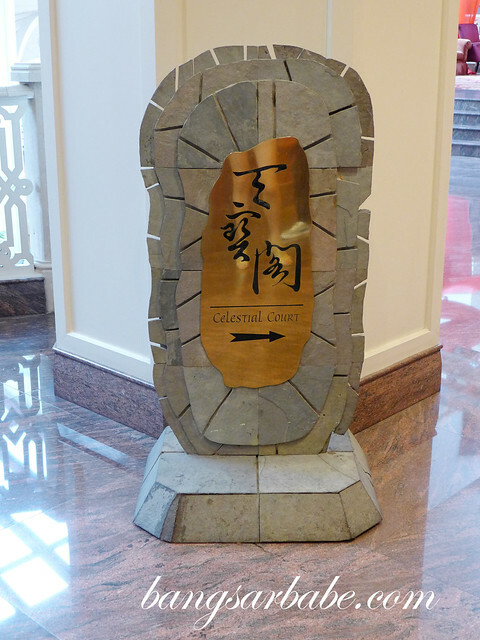 You must try the cod fish dumpling with prawn at Celestial Court. 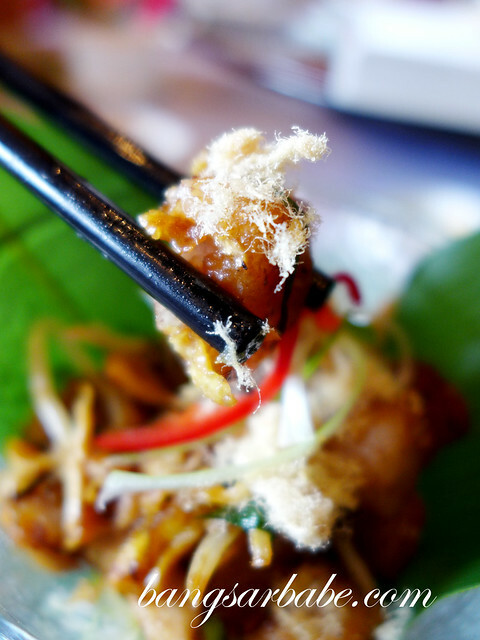 The fish was smooth and firm, with accents from the spring onion and coriander puree and shredded ginger. The crispy katafi with scallop was a nice contrast of texture – creamy avocado, succulent scallop and crisp casing with a drizzle of mayonnaise. 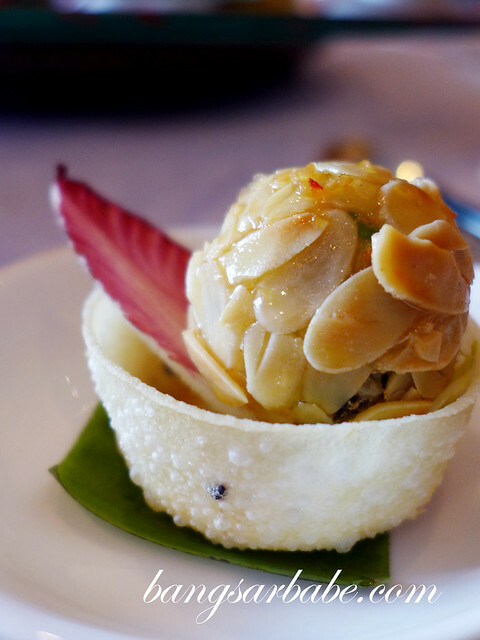 Seafood ball with century egg filling came coated with almond flakes and Thai sauce. 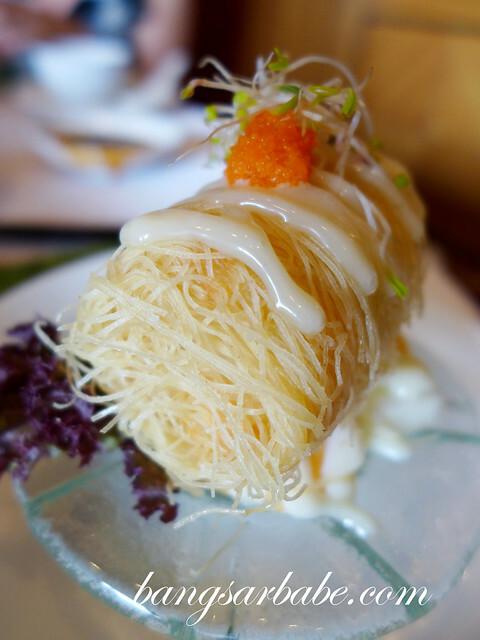 I liked how the Thai sauce livened up the overall flavour of this dim sum. 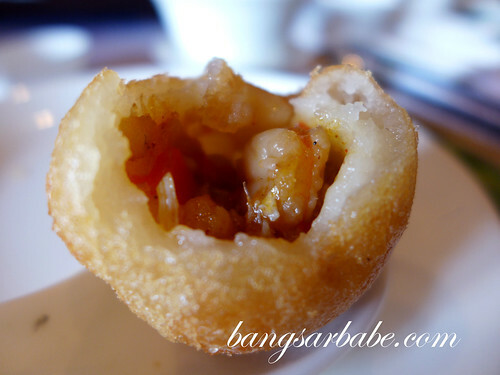 Another favourite of mine was the yam puff with minced chicken, shrimp and mushroom in miso filling. 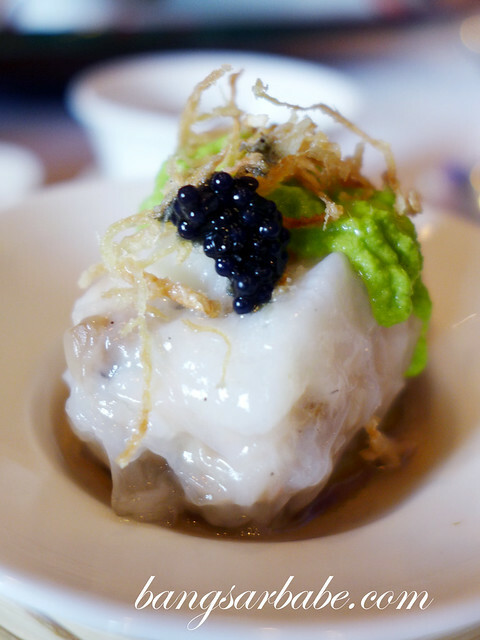 The puff casing was crisp and light, with fluffy yam and savoury centre. 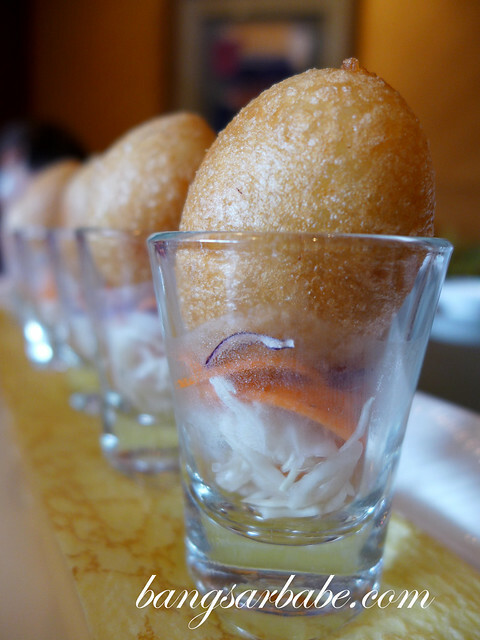 I found the glutinous rice dumpling interesting as it came with tom yam seafood filling. That said, I didn’t care much for this combination. 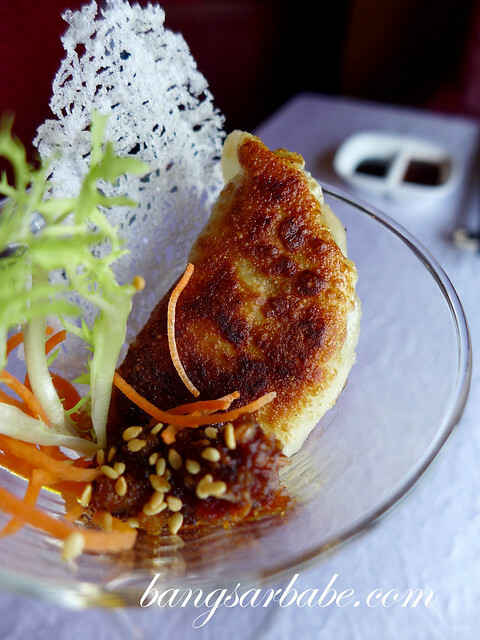 Spicy food lovers will enjoy the imperial style lamb pot-sticker with bean paste, for the paste adds flavour and character to an otherwise conventional dumpling. Tasty, but I found it to be slightly oily. 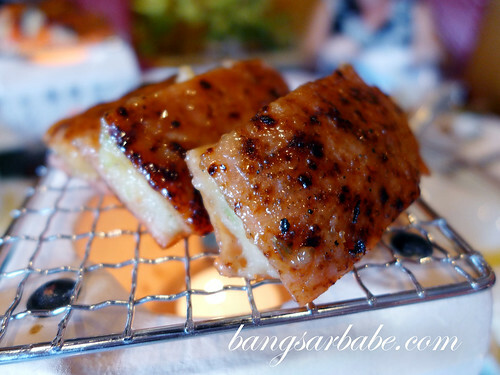 The grilled stuffed honey glazed dried chicken meat reminded me of bak kua, and it came with steamed man tau buns. 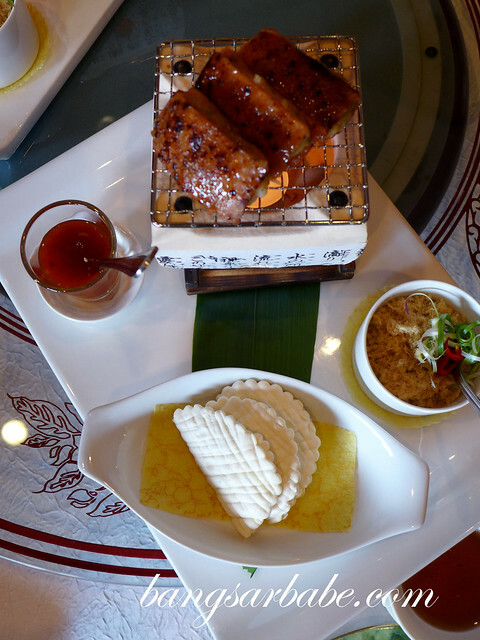 I love the presentation of this dish – very Japanese and a good conversation piece. The sautéed radish and yam cake was tasty, with crisp edges and crunchy beansprouts. This had a touch of wok hei and smelt terrific. 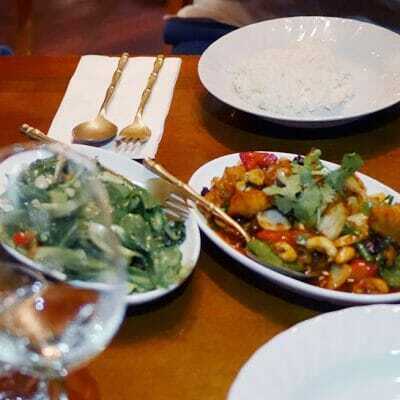 Very nice when eaten with some chilli oil. 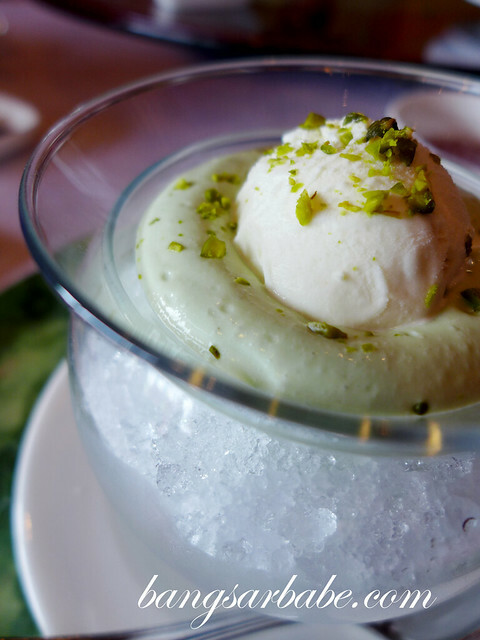 For dessert, the avocado puree was a pleasant treat. It was barely sweet with a creamy texture, further complemented by the vanilla ice cream. 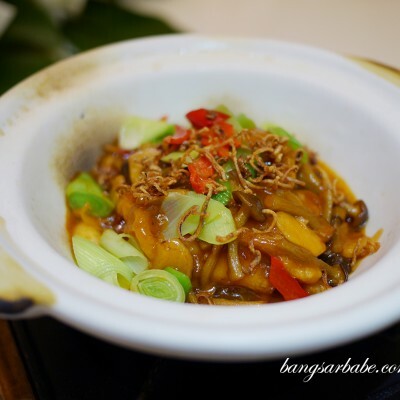 The dim sum is priced from RM13++ per dish onwards and are available for lunch daily from 12noon to 2.30pm (Monday to Saturday), 10am to 2.30pm (Sunday & Public Holidays). 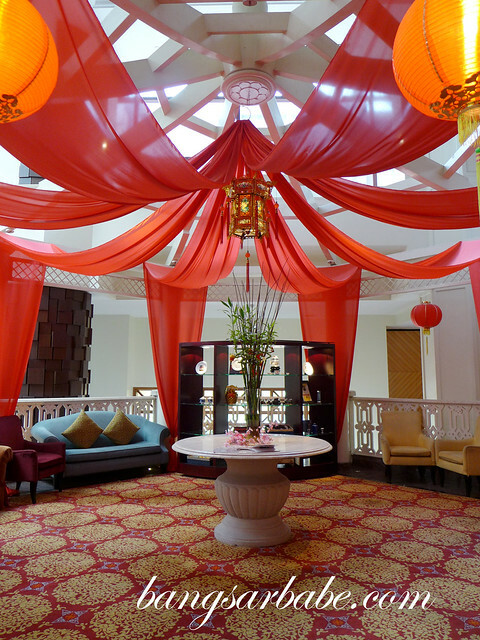 For more information or to make a reservation, call 03-2717 9900 or visit www.sheratonimperialkualalumpur.com. 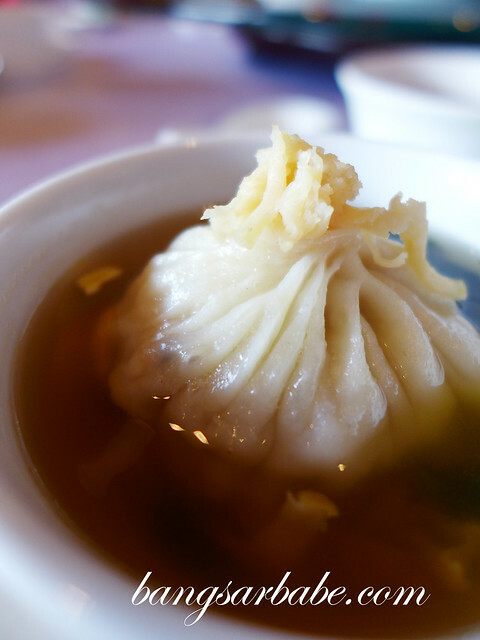 Verdict: Definitely one of the better dim sum in town. And it’s halal too. Extraordinary photos and food. Thank you.